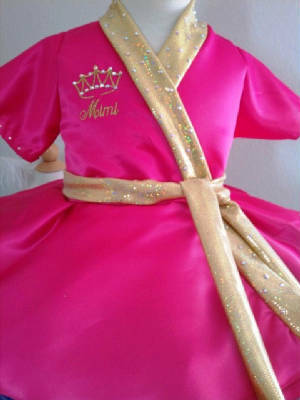 Adorable pageant robe/makeup cover to wear over pageant dress or costumes to protect garments and keep you warm. Robe has a full circle skirt with kimono sleeves and sash. 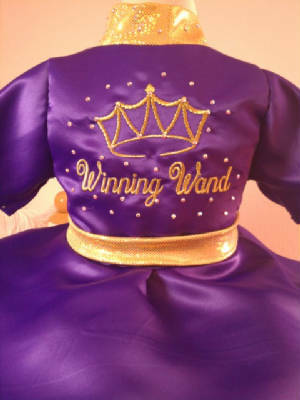 Comes with name and crown monogrammed on the front and crown and name on the back of the robe, embellished with AB rhinestones. 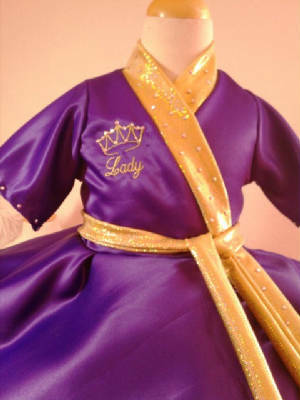 This robe is a must in pageantry and will protects the garment from spills or makeup. Correct spelling of name to be monogrammed on robe.